The Kids Chess Club in cooperation with The Mt. Lake Chess Camp is offering full scholarships to the 2017 Mt. Lake Chess Camp in Lake Arrowhead Ca. The camp will be held from July 23 to July 28. The scholarships are open to all students ages 7 to 17 and each scholarship is estimated to be a $650.00 value. Transportation costs to and from the camp are not included. The camp is provided by The Mountain Lake Chess Camp which has been run by IM Larry D. Evans for over 25 years. The camp is held at beautiful Lake Arrowhead California, only 90 miles east from Los Angeles, and will include all room and meals; daily chess lessons totaling over 30-hours from Chess Masters; Chess tournaments, including Bug-House chess, Blitz Chess and lots of practice chess. Every participant will receive a Chess trophy. There are also other camp activities offered such as swimming, archery, ping pong, air hockey, water gun battles, guided nature tours, Lake Arrowhead activities with water slides and hiking. To apply for one of these scholarships, complete the application below. All applications must be received by June 15, 2017. All applications will be reviewed and evaluated on 3 criteria: 1) The ability of the parents to pay for the chess camp. 2) The student’s performance in School. 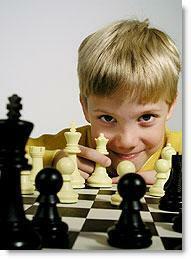 3) The student’s interest and ability in chess. The potential recipients will be contacted to verify that they will accept the scholarship and attend the Chess Camp. Has the applicant ever attended a Chess Camp before? When and where? The following three categorizes will be evaluated to rank the applicants. Ability to pay for transportation to and from the Chess Camp in Lake Arrowhead CA.? Briefly describe the applicant's GPA or scholastic interests, abilities and attitudes towards school. Has the applicant participated in any USCF rated tournaments? Kids Chess Club has acquired Tax Exempt Status and is a 501(c)(3) Company and registered as a Charitable Trust in the State of California.